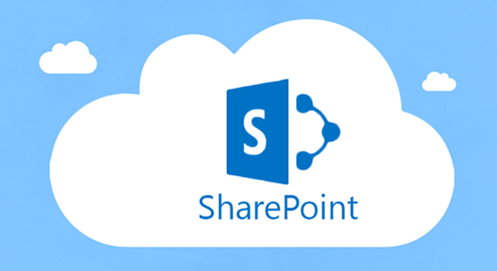 Would you like to talk to an expert regarding SharePoint as a service and how it works in the cloud? Talk to an expert right now! In today’s quickly-developing cloud economy, a tool that doesn’t have the flexibility to evolve based on its users’ needs will come to an abrupt halt just years after its hopeful creation. Case and point is SharePoint. Marketed as a platform for business to manage content, host files and a number of other functions, makes it hard at first to imagine it as anything else. But, enter ingenuity! Just as Grog discovered that a rock that crushes nuts could be shaped into a sharp point to hunt animals, a little open-minded exploration turns SharePoint into a service rather than a strict platform. But SharePoint is a pretty great platform, so who’s using it for anything more? It’s true. If you benefit from SharePoint’s user interface and utilize its different parts in your application, there isn’t much reason to do anything other than what it’s been marketed as. However, if you’re looking to build a complex intranet or a specialized portal, you may not want your interface to look like a SharePoint interface, and it doesn’t have to. You can approach SharePoint as a service instead, using the diverse set of client-side APIs introduced by Microsoft. Rather than pulling business data into SharePoint, you can make SharePoint more easily upgradable and mobile responsive by pulling SharePoint data into a business application. This allows an application to run with any page model on any web platform rather than depending on SharePoint to run pages and infrastructure while accessing SharePoint data externally through APIs and other web services. Taking this approach unleashes the potential of microservices, allowing more scalable and reusable services that can be released independently. This brings the additional benefit of developing the microservices in SharePoint cloud environments. It’s lightweight and easy. These options and useful ways of approaching SharePoint make this a great time to be a SharePoint developer. What was once a platform that dictated the rules to users is now a service that can lead to responsive applications with a solid universe of microservices surrounding it.